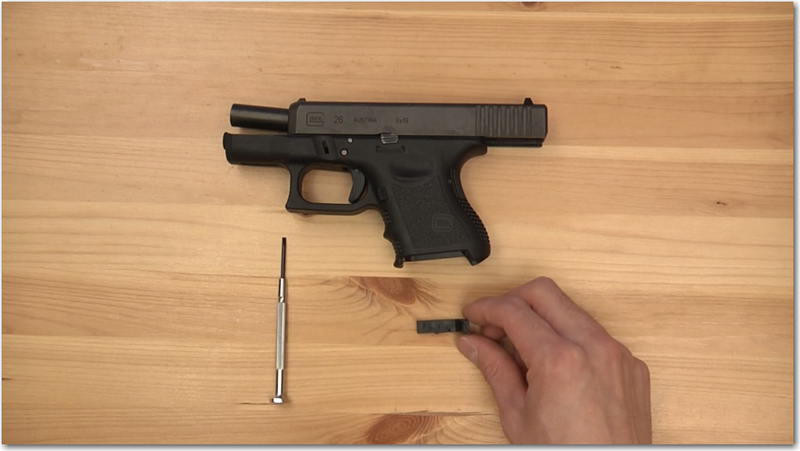 Learn how to install a Glock extended magazine release using just a small flathead screwdriver. See the best angles and tips on how to install this mod without losing your mind. 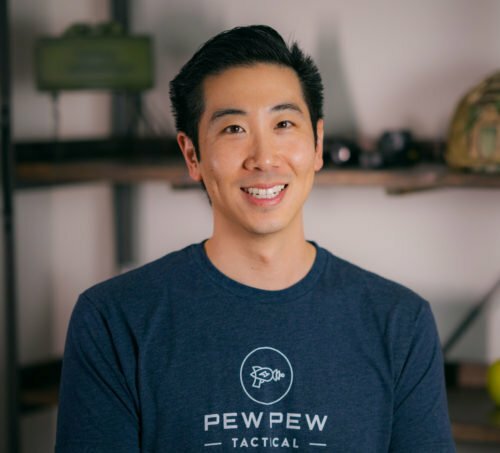 Why an Extended Magazine Release? 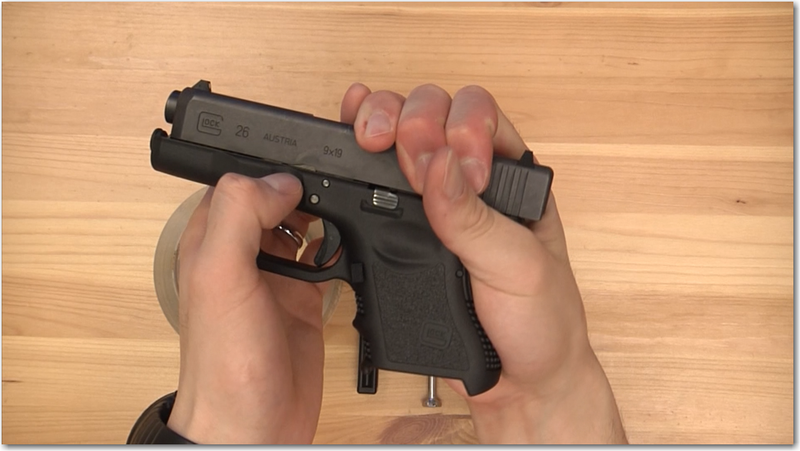 The extended magazine release is a must for me in all my Glocks since I find it very hard to hit the standard height release with my hand size and strength. T he extra length of the extended version (heh) just makes it so much easier for me to drop mags without changing my grip. 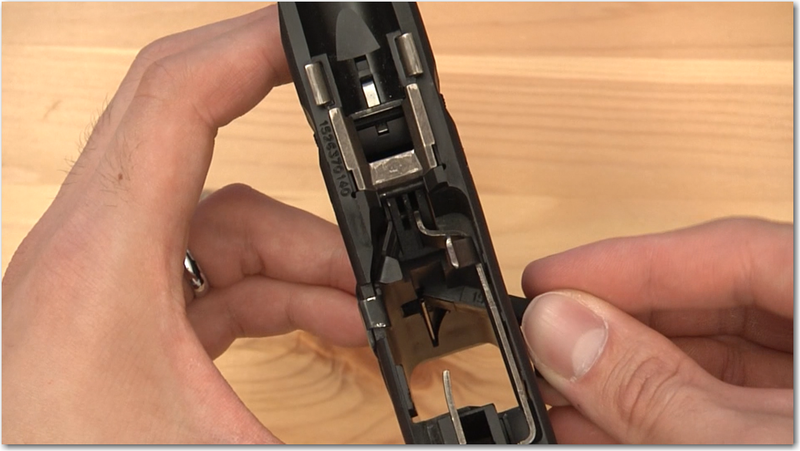 Glock Extended Magazine Release Gen 1-3 : I stick with the original since I was already used to it on my G34 competition gun where it came standard. Other options include the new spiffy Larry Vickers Gen 4($20). First conduct a safety check and remove the slide from the frame. You will only need the frame for this install. This is a side view of the magazine release. You can see that there’s a cut in the bottom that allows the screwdriver to fit in and turn to the left. 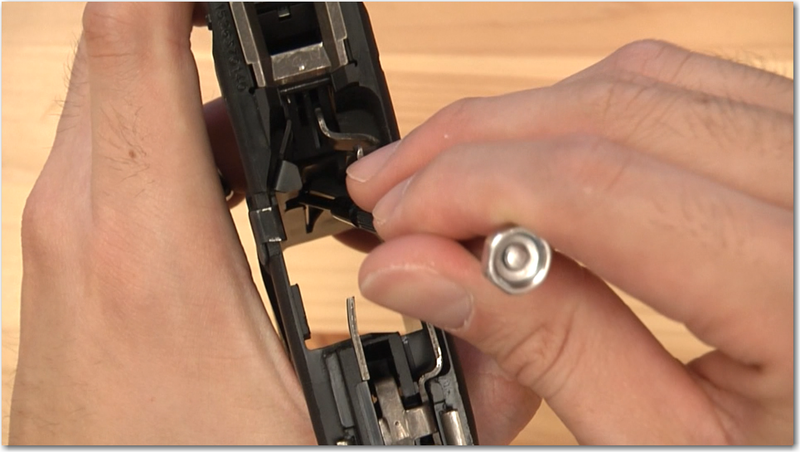 When we take a look at a different angle, you’ll understand that to remove the spring (or screwdriver as shown), we will need to move it to the right and out. Here is the top view where you see the spring. 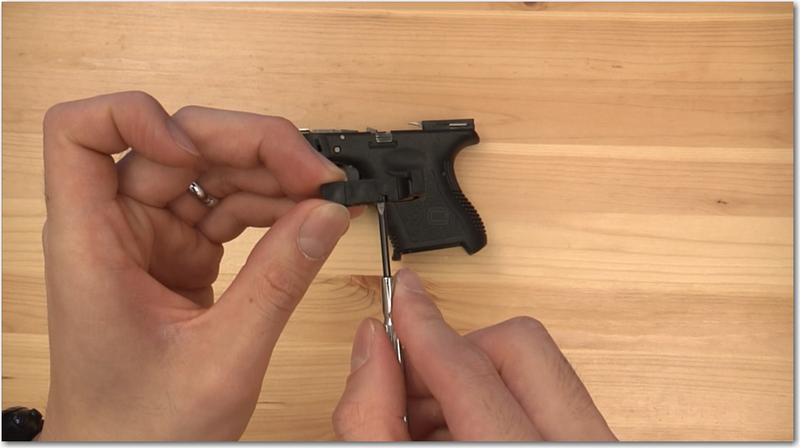 Take the small flathead screwdriver with the head facing vertical, and put it in the area shown so that there’s a lever effect. 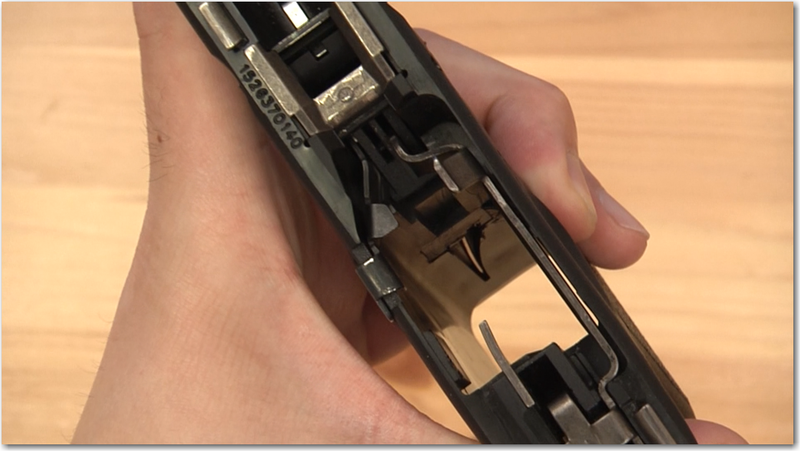 Hold down the right side of the magazine release so it does not move when you’re doing this. This might be easier to understand with the video. Push to the right and then outwards so that the pin comes out. Remove the stock version and put in the extended version. 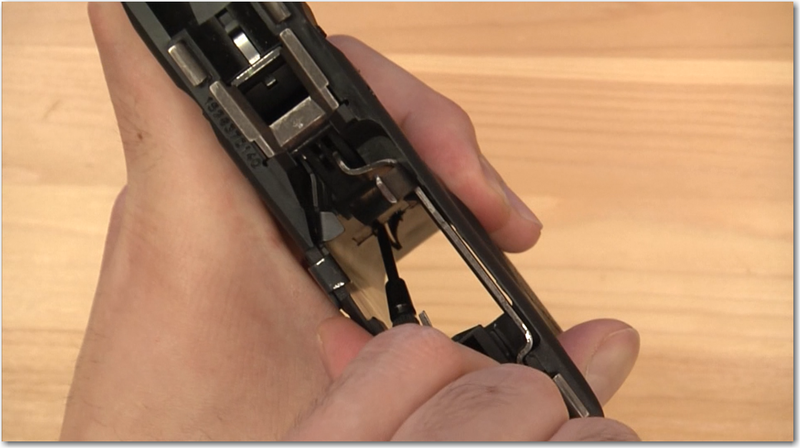 Using the screwdriver from the top, move the pin towards you so that it ends up over the magazine release and you can push in the magazine release out to the left. Then you just need to use the lever action but in reverse. Position your screwdriver so the head is vertical, push it to the right, and push in the pin so that it falls into the groove. Then you’re done! Let me know if this helped you out and how your install went. And how do you like the extended version? 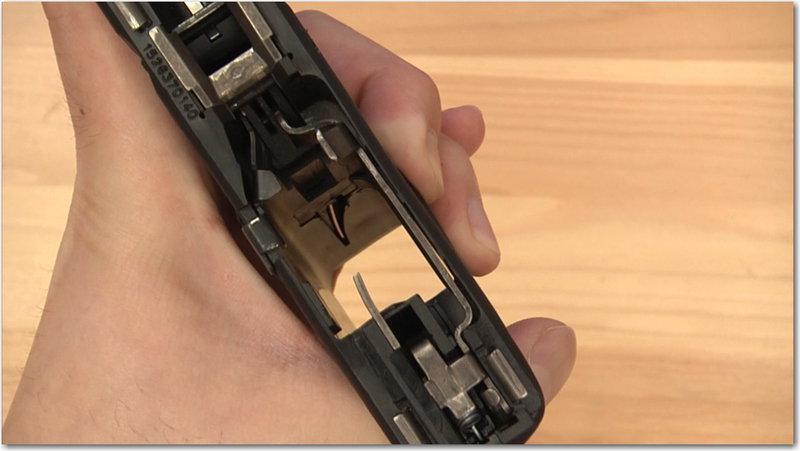 Great video – especially of the internals with the spring. I did the change but my mag release is really weak. It seems weaker with the Vickers extended than with the OEM. Is that a spring issue when I changed it out?